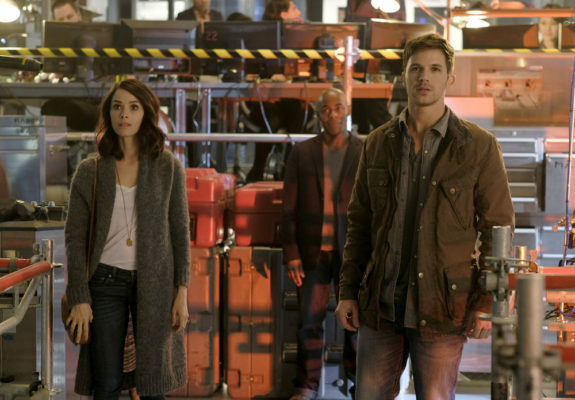 The first season of Timeless just ended last night, but what about season two? Recently, co-creator Shawn Ryan spoke with Deadline about plans for the future of the NBC TV series. The action-adventure drama follows a history professor, a soldier, and a scientist as they travel through time to stop a mysterious criminal. The cast includes Abigail Spencer, Matt Lanter, Malcolm Barrett, Goran Visnjic, and Paterson Joseph. As of now, NBC has not yet announced whether Timeless will be renewed or not. Currently, the series is part of an ongoing lawsuit and ratings have been on the decline since the series premiered in October. What do you think? Are you a fan of Timeless? Do you want a second season? MY 11 YEAR OLD SON ABSOLUTELY LOVES THIS SHOW AND THE CONNECTION TO HISTORY! PLEASE RENEW IT! Great Decision!!! I loved this series since the first and just on the premise I loved the idea and bought the season before it came out and I’m SO VERY GLAD I did!!! I will purchase season 2 as soon as it’s available!!!! Great Going NBC, Thank You!!! Please make season two!! I love this show so much and we HAVE to find out what was wrong with Gia!! Ugh my husband and I watch this show all the time!! I hate when a network is on the fence about renewing or canceling a show!! Please please please renew the show I’ll die if I don’t see what’s to come lol!! I love love love this show! You’ve got a good thing with this show. I sat though every ep. And I would love to see more. The cast is great. The writing and directing are superb . Let’s not cancel a great show. I’m in the UK so can’t watch live or affect the ratings but both myself and my husband love the show. It’s entertaining, funny, exiting, full of adventure and for us, is upping the ante with the twists and turns and moral/ethical situations the team find themselves in. So if I can, I’d like to add my voice to the renew pile. Love it and can’t wait for the next season…. I love love love it… finally a show with great historical pieces of info made human. Please don’t take it away. Do not end Timeless! Finally a good show on tv that my husband and I both enjoy. Please keep this show going. We have learned a lot about history just front his show and it’s fun looking things up from watching. I love the show. It’s family friendly and shows a degree of moral rights and wrongs. I really hope season 2 is renewed. I love this show …. I’m really hoping it does come back with a season 2 and many more to follow !! !